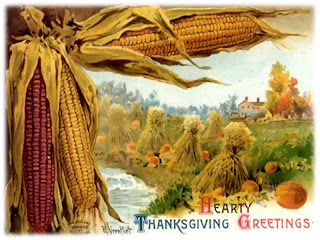 Pilgrim Scribblings: HAPPY THANKSGIVING ??? While looking through the archives I found the following Thanksgiving poem. I had written it to be posted on the American Thanksgiving Day back in 2007 but much of it applies to us here in Canada. Here it is! An Atheist's Lament on Thanksgiving Day. How sad it must be to have so much and yet not believe in the God who is the giver of every good and perfect gift. Sad to say, the words of this poem could be true of many people during this Thanksgiving season. We'll be feasting on turkey, it's always the same. And when it's all over, I've said my "goodbyes"
But saddest of all...I've got no one to thank! Note: For the believing Christian, Thanksgiving should be one of the most joyous days of the year. The Father has blessed us bountifully and we have so much to praise and thank Him for.